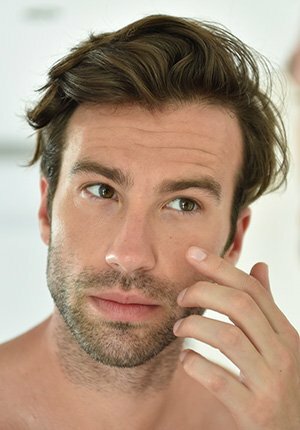 Skin rejuvenation for both men and women has entered a new era with the advanced Platelet Rich Plasma (PRP) procedure, using your own body’s cells to reduce or even eliminate wrinkles and scars. Using stem cells to stimulate production of new cells has been a growing momentum in the field of Aesthetics for the past years. Recently the technology has been developed that makes it easier to use your own stem cells to turn back time and grow new and more youthful looking skin. The PRP Rich Facial Rejuvenation is a procedure that combines Platelet-rich-plasma derived from your own blood to stimulate your stem cells and microneedling for induction of collage and elastin to give you smoother and younger-looking skin. This procedure is similar to the Vampire Facial ® or Vampire Procedure that also includes Vampire Facelift® and Vampire Breast Lift ® designed by Dr. Charles Runels, MD and is made famous by celebrities like Kim Kardashian and others to keep their skin smooth and glowing for the HD cameras and screens. PRP Rich Facial Rejuvenation is a great way to harness you healing power within to smooth wrinkles, folds and even acne scars for a more even skin texture. Since PRP is harvested from your own blood, it alleviates the risk of allergic reaction or skin sensitivity. This procedure involves injecting Platelet-rich-plasma derived from your own blood directly under the skin to achieve natural youthful skin without using fillers and/or Botox. The procedure involves the use of Platelet-rich-plasma derived from your own blood either directly around or by microneedle around the breast to restore skin quality around breast for a more youthful skin. This procedure is best suited for Décolletage or cleavage area. Please see the PRP page for more information. Please refer to the microneedling page for more information. Just a few short weeks after the procedure, the newly formed collagen is growing and generating more and more healthy cells underneath the skin. That is when patients will begin to see improvement in the skin quality, color and texture. You will experience a fresher, more youthful appearance with better skin quality over time as the newly formed collage is formed and the stem cells generate more and more healthy cells. Glowing and younger color skin due to new blood vessel formation. Smoother skin due to new collagen formation and regenerated skin. It is best to allow yourself time to heal. With the PRP Rich Facelift if no microneedling is done, you may experience mild redness, bruising and and/or swelling at the site of injections (s). Swelling resolves in 24-48 hours but a bruise can last up to 2 weeks for some people. Regular activity can be resumed the next day. Please follow the Post-Procedure handout for optimal results and to minimize side effects. 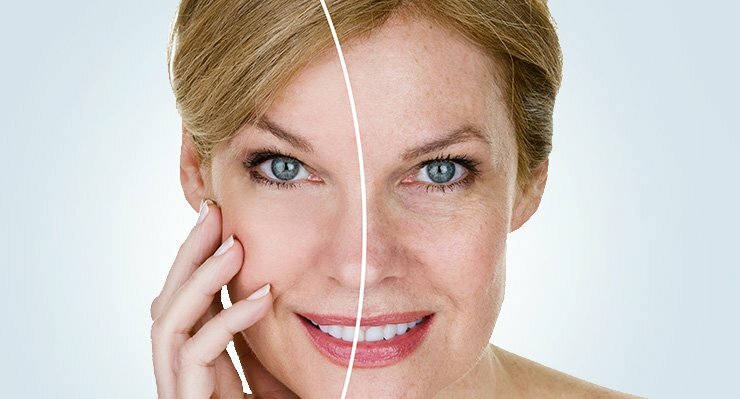 How is PRP Rich Facelift different than facelift surgery? Patients with more extensive corrections may opt for traditional facelift surgery. PRP Rich Facelift is more natural skin tightening and results are less dramatic and are noticed over time. However, it could be used with traditional surgical facelift to improve skin quality, texture and elasticity for more youthful looking skin. Since Platelet-Rich-Plasma (PRP) is used, please review the contradiction on the PRP page. What are some of the side effects ? What are the pre-treatment instructions, contraindications and adverse effects ? You will notice improvement with a single procedure, but on average you will need 2-3 treatments 6-8 weeks apart for optimal results. Some patient may only need one treatment. Usually the results should last about 6 to 9 months and is unique to the individual aging process. It is recommended to repeat once a year for maintenance and yearly rejuvenation. Call our office at 760-944-9300 to schedule a complementary consultation to evaluate if you are a candidate for the procedure. You will have an opportunity to ask questions and you will be provided important information on Pre-Procedure guidelines to prepare for your first treatment for best possible experience and optimal results. Dr. Wali will review your history and you will have another opportunity to ask questions. A topical numbing cream is applied to the treatment area. Your blood is then drawn and prepared per our office protocol. Once your PRP is ready, the doctor will inject or apply ( if microneedling) into the desired area. How should I prepare for the day of treatment? Reveal a more Radiant, Youthful Complexion…Naturally! Call us today at 760-944-9300 and discover your path to wellness!